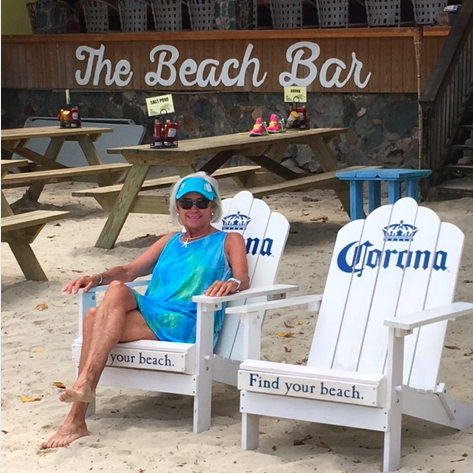 It’s easy on an island vacation to “find your beach” as the Corona beer commercial urges us. The ability of disengage in our daily life is the real challenge. What a waste of time and energy we expend! Most of our stamina during the day is spent on things/activities that don’t really matter. We are bombarded with pressures to accomplish this, acquire that and measure up to someone else’s standard. We go to bed at night with our minds racing of yet what we need to do, feeling that whatever we have accomplished is not enough. Our poor souls are flooded with the misguided notion we need to do “more”. Why don’t we remember who we really are and why we are really here? Besides the mental ambush, we are bombarded with “notifications”. Our peace and quiet is disturbed with beeps, ring tones, chimes, horns and a host of other alerting sounds calling us to more action. Sometimes we need to take a vacation to “get away”…get away from our normal routine to put things in bigger perspective. We need some “me time” some “alone time”. When we can “get away”, all the items on the “to do” list seem a little less important. With a travel vacation we find new surroundings, different people, and diverse milieu, we are forced out of our rut and jolted into a new awareness, like a breath of fresh air. The pressures gripping us release, our shoulders may drop and we exhale experiencing true peace. But instead of waiting for a yearly getaway, I think we need to carve out “beach time” during EACH of our busy days. What gives you peace? How do you maintain an attitude of calm, keeping your life centered amid the pulling pressures without jumping on a plane to “find your beach”? Besides meditation there are other “getaways” that can help us like taking a walk, listening to music, yoga or just sitting still relaxing with breathing exercises in the quiet. Maybe lounge in a bubble bath. Do you like to paint, play the piano, dance or swim? Make time for yourself…plan your getaway. Whatever we choose, we need to unplug (maybe literally), to find our own personal beach bringing peace to our busy souls.